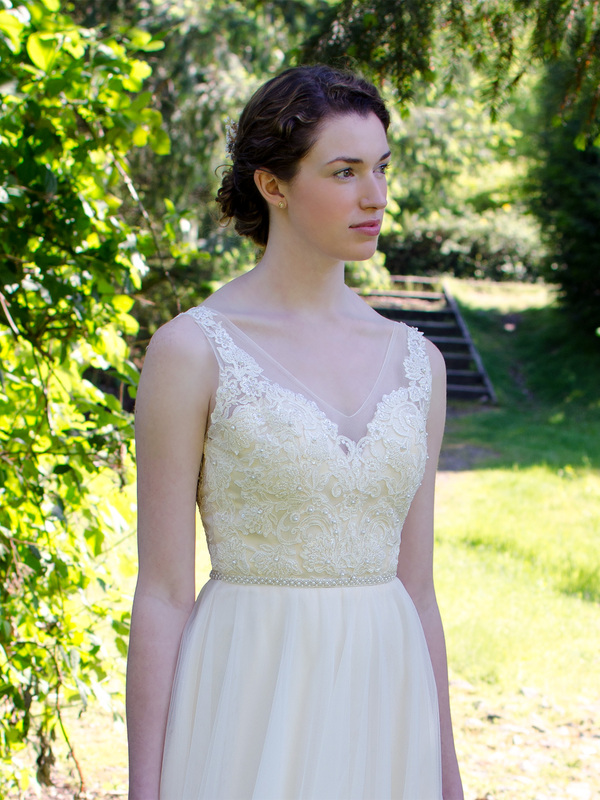 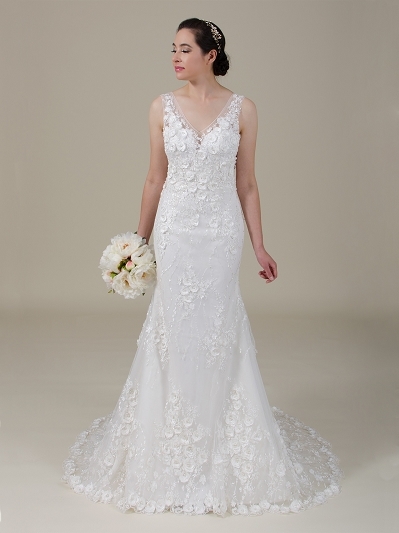 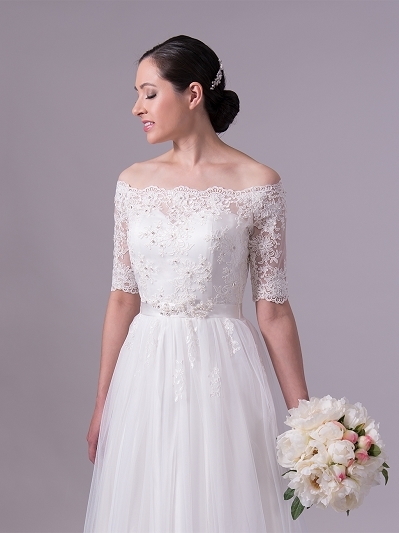 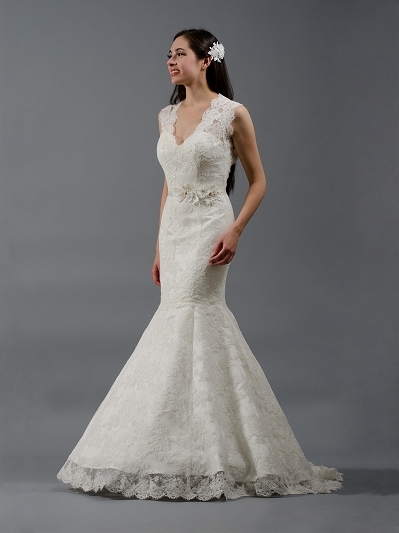 This is a sleeveless wedding dress made of beaded re-embroidered lace, A-line tulle skirt. 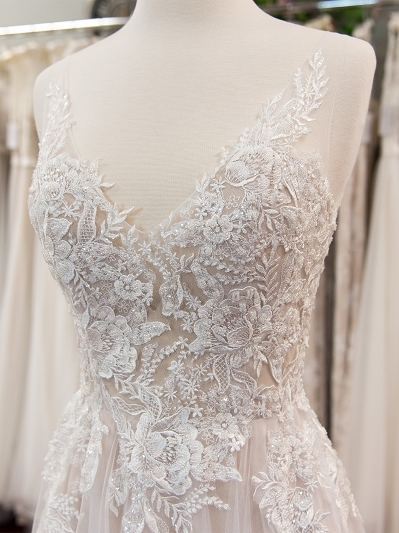 Ivory lace and tulle over champagne satin lining. 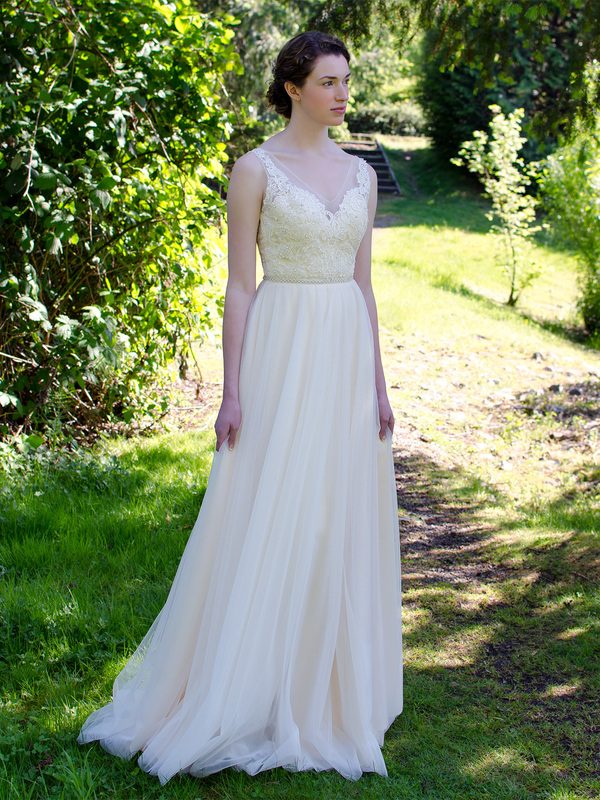 Available in size 0 ~ 20 and custom size.